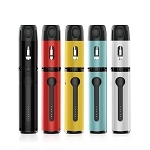 Looking for an exciting new mod or vaporizer? Then perhaps itï¾’s time to check out the Reuleaux RX Machina Mod! The Reuleaux RX Machina Mod was created in partnership with both Wismec and JayBo Design. 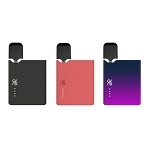 It isnï¾’t every day that such a stylish and awesome cloud producing vaporizer hits the market. The Wismec RX Machina Mod is a completely functional mod which is powered by either a single 18650 high amp battery or a single 20700 high amp battery. The Wismec RX Machina Mod is made from high-quality Stainless Steel, designed to last. The RX Machina doesnï¾’t utilize magnets or springs like many other mods or e-cigarettes. The high-quality construction is continued through to the gold-plated firing switch on the Wismec RX Machina Mod. The Mod also utilizes a gold-plated 510 pin for maximum connectivity and durability. There isnï¾’t much thatï¾’s wrong with such a stylish and functional mod! The Wismec RX Machina Mod continues a tradition of stylish, functional, and sleek design. Whatï¾’s also important to note is that the designers havenï¾’t compromised functionality for comfort. The Wismec RX Machina Mod looks not only fantastic, but also feels fantastic in the hand. It doesnï¾’t matter if youï¾’re vaping a few times a day, or chain vaping all day with this awesome vaporizer! 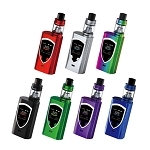 The Wismec RX Machina Mod also features interchangeable sleeves, giving vapers the option of customizing their vaporizer. Please note the Reuleaux RX Machina Mod is an unregulated mechanical mod that is not meant to be used by beginners. 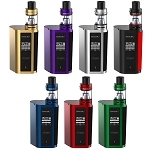 Only advanced users with sufficient knowledge of unregulated mods and custom builds should use this device.